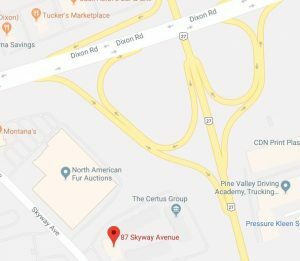 Located Very Close to Highway 427 and Dundas Street. The Central node for a myriad of transport options to the City of Toronto and surrounding areas. Serviced by the TTC subway system and the GO Transit rail system.